One of the most important times for a woman to receive chiropractic care is during pregnancy and after giving birth. During pregnancy there are several physical and physiological changes that occur when creating and maintaining the environment for a developing baby. Protruding abdomen, increased back curve, pelvic changes, and postural adaptations can all result in a misaligned spine or joints. This creates unwanted pain and discomfort during the pregnancy and following delivery. The good news is, Dirks Chiropractors can help! Our experienced chiropractors are trained to locate and correct joint dysfunctions, which restores proper joint function and improves nerve communication throughout the body. These spinal adjustments are sought after by millions of expectant mothers because this method is a non-invasive, safe, natural and drug-free approach to pain relief and prevention, creating a healthier and happier pregnancy. When the pelvis is misaligned it may reduce the amount of room available for the developing baby. It can also make it difficult for the baby to get into the proper position for delivery. With a balanced pelvis, babies have a greater chance of moving in the correct position for birth, and the worry associated with breech and posterior presentation can be decreased. 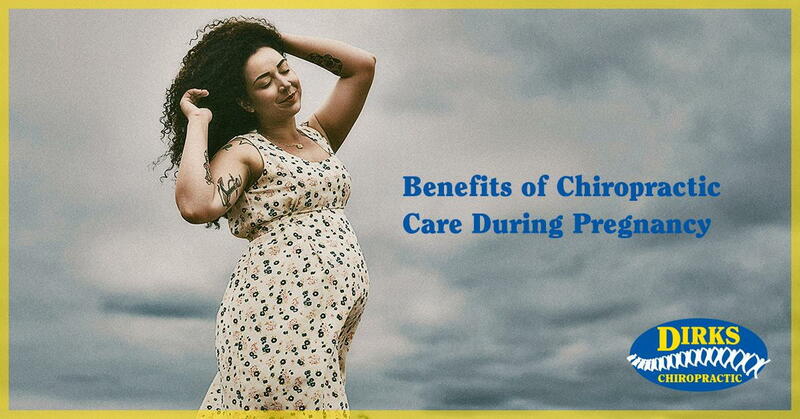 Also, because women who receive chiropractic care during pregnancy are taking care of their nervous system, many have found their bodies are better prepared to handle the childbirth process. Chiropractors can also help women postpartum, during postnatal care. Often after birth, a woman’s pelvis experiences changes that bring discomfort when walking, nursing or sleeping. A chiropractor can help restore pelvic balance with similar manipulation, exercises and stretches that were used in the prenatal care. New mothers can also experience back and neck pain from carrying care seats, bottle feeding and even from simply rocking sleeping babies. That is why it is important to continue chiropractic treatment even after you have given birth. The chiropractors at Dirks Chiropractic in Greenville, Washington and Williamston are highly trained to provide gentle adjustment to women who are pregnant or have recently given birth. We utilize different techniques and equipment to keep expectant mothers safe and comfortable during their visit. Schedule an appointment today to discover the benefits of chiropractic care during pregnancy.